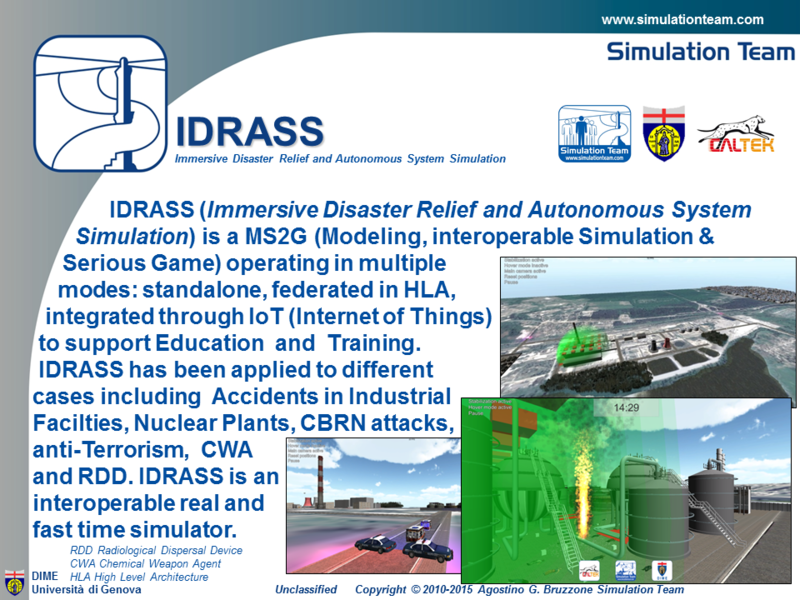 IDRASS (Immersive Disaster Relief and Autonomous System Simulation) is a MS2G (Modeling, interoperable Simulation & Serious Game) operating in multiple modes: standalone, federated in HLA, integrated trough IoT (Internet of Things) to support Education and Training. IDRASS has been applied to different cases including Accidents in Industrial Facilties, Nuclear Plants, CBRN attacks, anti-Terrorism, CWA and RDD. IDRASS is an interoperable real and fast time simulator.